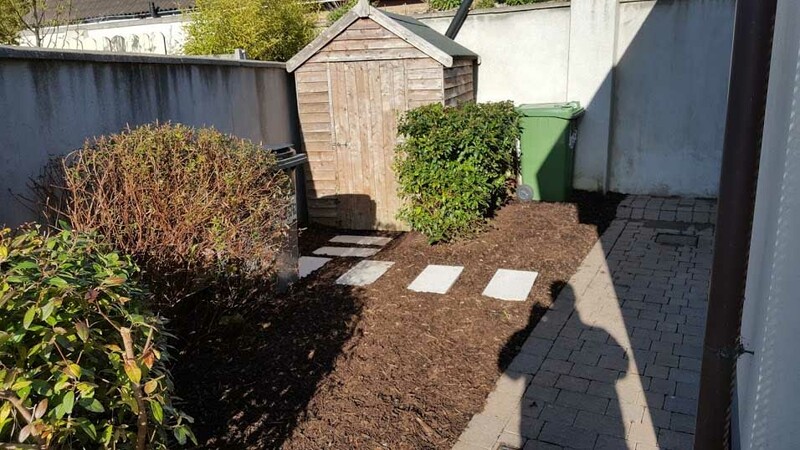 Lavin Landscape & Ground Maintenance provides professional garden and grounds maintenance services across North County Dublin and the surrounding areas to domestic and commercial clients. Autumn is a really good time for transplanting work because the soil has sufficient moisture thanks to regular rain showers. The ground is still warm from the summer, therefore the plants still have enough time to get used to their new position and form new roots. This means new plants can also be planted in the autumn with no need to worry. This is the last chance before the winter to bring a bit of colour into the garden. Roses, for example, should be planted ideally in Autumn, before the first ground frost. Bulbs can also be planted in autumn so their flowers germinate from the soil at the right time in spring to delight you with their blaze of colour. The right position is crucial for the heralders of spring to thrive and flower. Most like fresh, moist soil in spring, but during their dormant period in summer the soil can be dry and porous. Bulbs should be planted in the ground at a depth of two to three times their height. When shrubs go yellow, their stems bend towards the ground or they start to go to seed, it is time to cut them down. This is because the plants are now drawing their sap back to their roots. If they are not cut down, they may decay. Bushes and shrubs can be cut to approximately a quarter of their size. This can, however, vary according to the type of bush or shrub. Hedges should be pruned for the last time in autumn to prevent decaying if damp accumulates. Only cut deciduous hedges back as far as you can without creating any holes as these will not grow back over the winter, leaving the hedge looking bare. Any tree leaves lying on the hedge should also be removed as otherwise the hedge will not get enough fresh air and sun, resulting in rot. In winter, the wet, low temperatures and weak sunshine effect the lawn. That’s why lawns need some TLC before the cold spell begins. When the leaves fall in autumn, they should be cleared from the lawn regularly. Leaves left lying on the lawn will deprive it of light and encourage the formation of dry, brown patches and the growth of moss. Mow your lawn for the last time around the beginning of November. Make sure that the grass is not cut shorter than 5 cm as longer grass can make better use of less sunlight. This will ensure improved resistance against weeds and moss. Using an autumn fertiliser is also recommended. Autumn fertilisers usually have a low nitrogen content and a high level of potassium. The increased amount of potassium strengthens the grass and increases its resistance to frost. Traditional lawn fertilisers should not be used in autumn since they contain a high amount of nitrogen and make the lawn grow faster, which in turn makes it more susceptible to frost. • Beds, roses and other plants which are sensitive to frost should be covered with brushwood, leaves or similar. Alternatively it can be wrapped in bubble wrap. • Dig out summer bulbs such as dahlias and store them in an airy box. • Bring pot plants indoors or place them in a sheltered position. • Switch off water connections, empty taps and watering devices so that frozen water cannot cause any damage. Call Now to Book Your Service! Lavin Landscape & Ground Maintenance provide ongoing maintenance for all types of gardens, both big and small, which includes all the above services. Call us today on 01 8394444 and talk to Cian about what you want to get done. We’ll be able to arrange a viewing at your property, so you’ll get an onsite assessment of price, and be able to make your requirements known in person. You can also book a consultation via our booking form or chat facility, when you contact us.